John Wallace in his field in 2010. Knowing where your food comes from means getting to know the farmers how grow or raise it. That’s why we like to regularly turn the spotlight on some of the Arkansas farmers and ranchers who are working hard to put food on tables around the country and the world. This week, we introduce you to John Wallace of Crawfordsville. 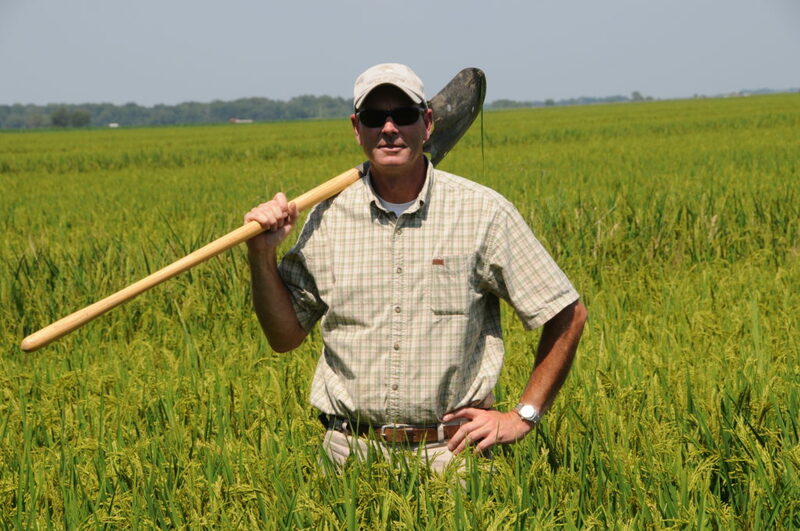 Along with his father and brother, John farms rice, cotton and soybeans on 9,000 acres in Crittenden County. The family also operates Vincent Soybean & Grain Co., where local farmers get seeds cleaned and stored. Wallace is a current board member and past president of Crittenden County Farm Bureau.